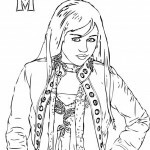 Welcome to our Hannah Montana coloring pages! 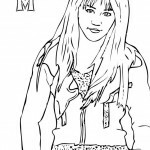 On this page you can find some very nice Hannah Montana coloring pages which you can color as you’d like, but you can also find some very interesting information about Hannah Montana. 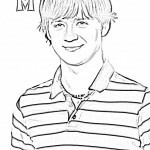 Hannah Montana is an American television series, which debuted on March 24, 2006 on Disney Channel. The series focuses on a girl who lives a double life as an average teenage school girl named Miley Stewart by day and a famous pop singer named Hannah Montana by night, concealing her real identity from the public, other than her close friends and family. Miley Stewart is played by Miley Cyrus. At age 11, Cyrus learned about the casting for what became Hannah Montana, a Disney Channel children’s television series about a school girl with a secret double life as a teen pop star. Cyrus sent in a tape auditioning for the show’s best friend role, but received a call asking her to audition for the lead, “Chloe Stewart”. After sending in a new tape and flying to Hollywood for further auditions, Cyrus was told that she was too young and too small for the part. However, her persistence and ability to sing in addition to act led the show’s producers to invite her back for further auditions. 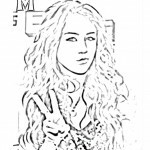 Cyrus eventually received the lead, renamed “Miley Stewart” after herself, at the age of twelve. In 2007, the series was nominated for a Primetime Emmy Award. 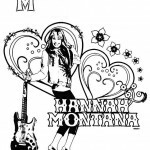 Hannah Montana: The Movie was released in theaters on April 10, 2009. The third season of the series premiered on November 2, 2008 and ended on March 14, 2010. The show has been renewed for the fourth and final season which started production on January 18, 2010 and new episodes have been ordered by Disney. It is expected to premiere in July 2010. 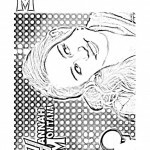 Now that you’re done reading, you’d better move on to our Hannah Montana coloring pages quickly!